Efficient performance, premium comfort, easy assembly. Royce Union delivers with the RMY. Only at Amazon, this hybrid bike is ideal for riding around town, for commuting, and for exercise. We deliver this bike 90% assembled; all tools are included to quickly finish assembly so you can get riding! Choose the right size bike! Make sure your inseam is longer than 38.5 inches to fit the standover height for this 21-inch frame! 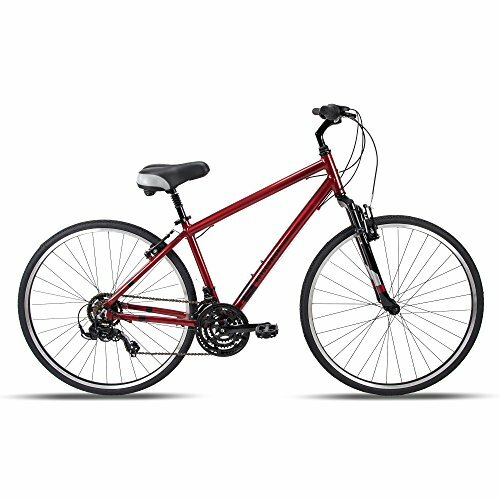 Select 17, 19, or 21 inch frames for men, and 15 or 17 inch frames for women. An alloy quick release binder enables easy height adjustment of the saddle for a proper fit. The sharp design starts with metallic red – a superior paint finish followed by a clear gloss overcoat for an outstanding look, that lasts ride after ride. The lightweight frame is molded from tough 6061 heat-treated aircraft-grade aluminum, and it will never rust! Backed by our limited 10-year frame warranty (see owner’s manual for details). 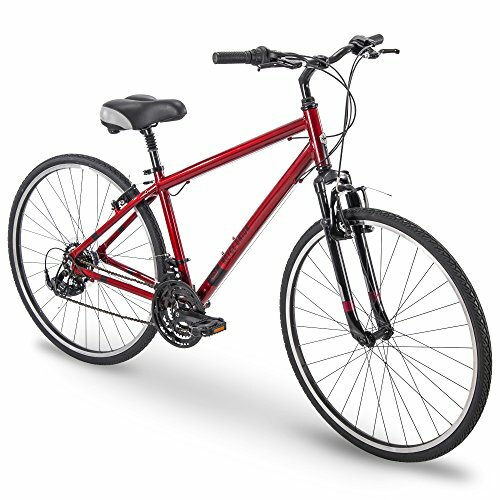 Durable aluminum, lighter than steel, makes the bike easier to handle, and easier to maneuver in tight spots. 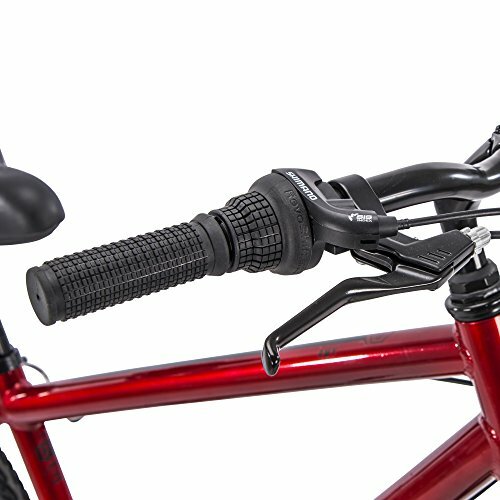 The front ZOOM suspension fork delivers solid performance – it easily absorbs dips and bumps from uneven terrain. The slight-rise handlebar enables an upright, riding style. There’s less strain on the shoulders, back, and arms for a more comfortable ride! Krayton grips feel good to hold and comfortable pedals maintain a responsive feel no matter how long you ride. 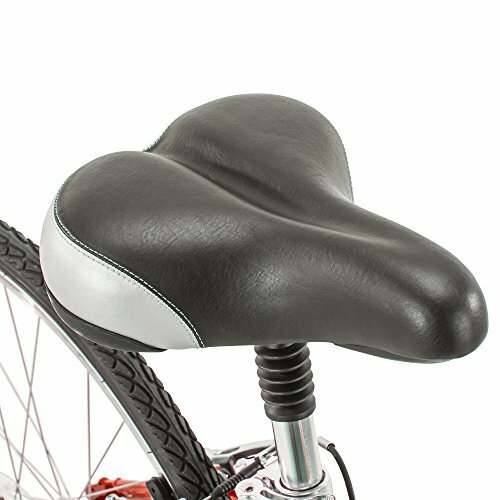 The premium, richly padded saddle, with dual springs, is ergonomically designed for real comfort, and rests on a suspension-style seatpost that absorbs jostles and thumps for smoother riding. An alloy quick release binder lets you customize the saddle height for a proper fit. 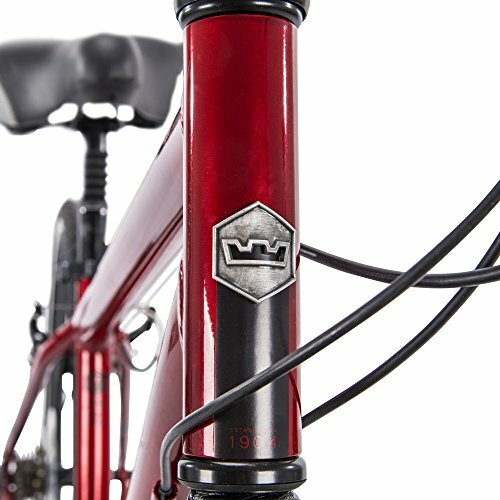 Unlike cheaper models, the RMY uses a complete SHIMANO drivetrain, a 21-speed SHIMANO Revoshift with a SHIMANO Tourney indexed rear derailleur, specifically crafted for optimal performance. Enjoy seamless shifting with precise transitions between gears as you adapt to your riding environment. Removable rear derailleur guard protects gears from accidental damage to ensure reliable operation time after time. Alloy linear pull brakes deliver smooth, dependable, stopping power. Machined alloy wheel rims enable superior brake pad contact for consistent action. With an all-terrain tread, the trim 700c tires enhance rolling momentum and provide less resistance between you and your destination.